If you want to be successful in 2019 there are some very specific things that you need to do. Now, let’s think about this. 2019 starts, everybody writes down their goals. Those goals are very tactical. Some are smart. Meaning they’re smart, measurable, actionable, yada, yada, yada. That’s great. It is good to have those types of targets, but those are to do lists. Those are the tasks. Those aren’t the goals. If you want to achieve your best in 2019 you need to instead think about three different categories, but broadly focusing on investing in yourself. What does that mean? So let’s talk about the three categories. #1, we have health. You must invest health and have it in your life period. There is no other option. Without you investing in yourself through fitness, working out, eating well, eating better than maybe you have been. Maybe you’re eating extremely well and now you’re going to level up. Whatever it is, health and wellness, you must make that a priority because without that, nothing else will sustain itself or work. #2, you must invest in your mind. No matter what your passion, your craft, your employment, your profession, or however else you break it apart, you must now think about exactly what are you doing to better your mental state. That might be books, that might be taking a class, traveling to a conference, maybe finding five people that you admire in the world that do what you want to do and engaging with them online in social media, in reviews, in comments or just calling them. There are so many ways to engage, but number two, you must focus on the mind. You must invest in your mind. #3 , your spirit, and this doesn’t mean religion. It can, but spirit means your mindfulness. Are you taking the time to grow, to be passionate, to manage your stress, to create joyful moments with family and friends. Your mind, your spirit you must invest. That might be practically speaking, you spend five minutes every day on a five minute journal focusing on what’s amazing and what’s great in your life and maybe some things that you want to improve daily, allowing yourself to settle your mind and release some of that tension. I personally do two daily practices. The first is I create entry an my five minute journal. I write what are the three things that I’m grateful for in a day, I write three things that would make the day amazing, and then I do one affirmation statement. Every day it’s different. It focuses on where I want to go that day, what I’m feeling. Sometimes it might just be an affirmation around emotional state, to be happy, to be satisfied, or to be present in the moment. Other times it might be more of an affirmation towards a goal and an objective, to be an athlete, to be a father. The next thing I do is I take out a piece of paper and I write down what are by big goals, period. Now this covers my spirit, my health and I also include everything that I’m focused on. Such as, if I want to be a good father, if I want to be a good son, a good friend, those are priorities in my life and I write them out. I write down my profession, my team, companies that I’m working with professionally. What am I trying to do to become for those individuals and teams? Am I trying to be a great leader? Am I trying to be a great contributor to a team? I write out what my goals for those categories. Occasionally I also like to write, I don’t do it every day, but I like to write little sub focus areas to help me drive within those domain categories. I use that as an input into the next thing and that is I write out what are the big five things I’m going to do that day. By writing out these five, and demanding of myself to do these five, I allow myself the peace of mind that I have a workable body of tasks in front of me and the satisfaction and awareness that I have moved myself in the general direction towards my goals. No, you can not get everything done in all five for all of your dreams and goals. Alternatively, you might do more things that day, but the top five always get done. After that, you can work on other things as you see fit. Maybe it’s to expand on those sub areas…. always investing and building on our core intent. That’s how you will win in 2019 and every year after. Invest in yourself. Allow yourself to grow. 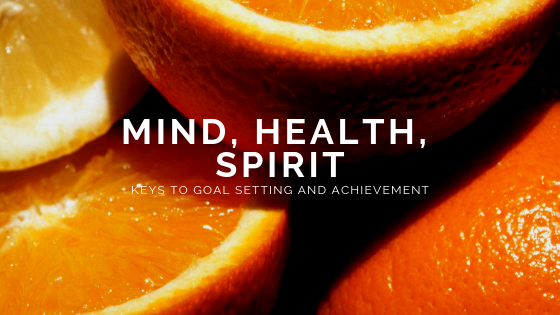 Yes, detail out those tasks, but always center on health, mind, and spirit. Those are the true goals. Allow yourself to succeed. Don’t move the goalposts until you have achieved them. Sometimes we have to change how we get to the goal, but let’s not change the measure of the goal. Always make sure we get to the goal and let’s have a very happy life full of accomplishments that build on our legacies with each other together. Next post: Stop playing in the middle – the edges are where you win! !